My very favorite cake for any celebration is a yellow cake with chocolate frosting. It’s equal parts nostalgia and comfort food, and the combination of vanilla cake with chocolate frosting satisfies the craving for both flavors. Because he’s allergic to eggs and lots of his friends have a handful of other allergies, I thought it’d be fun to develop a cake that everyone could eat, regardless of dietary restriction. The result? A winning allergen-free favorite that, to be honest, I can’t stop eating. This isn’t a towering, light and fluffy layer cake. Instead, it’s more of a snack cake, baked in a 9×13 baking dish. The texture is also a little sturdier, more like a semi-dense crumb cake. This makes it perfect for transporting to a classroom or birthday party, and parceling it out on festive plates for a roomful of eager kids. When it comes out of the oven, you’ll notice little brown speckles throughout the crumb; this is from the flax egg, an egg substitute I use in a lot of my vegan baking. Flax eggs don’t impart a great deal of flavor, so they won’t interfere with your enjoyment of the cake. And those little speckles get covered right up with a thick layer of frosting. What are flax eggs? Read more here! Use two leaveners for a better rise: A common complaint you hear with gluten-free cakes is that they don’t rise enough, so I use two leaveners with this cake: baking powder and baking soda. Baking soda is effective only when you pair it with an acid so I mix a little vinegar into the non-dairy milk. This creates something akin to a buttermilk substitute and won’t affect the overall flavor of the cake. Choose a good gluten-free flour blend. There are dozens of gluten-free flour blends to choose from these days and many are great. I happen to like Bob’s Red Mill’s Gluten-Free 1-to-1 Baking Flour blend. It’s a great all-purpose choice and doesn’t contain chickpea or legume flours, which often impart a savory flavor to baked goods that I don’t always love. Make sure it has xanthan gum. This blend from Bob’s contains xanthan gum, which acts as a binder in gluten-free baking recipes like this one. Before baking, check the ingredients in your own gluten-free flour blend and if it doesn’t contain xanthan gum (or another binding ingredient like guar gum or psyllium husks), I recommend adding 1/2 teaspoon of xanthan gum to ensure success. If you've never baked gluten-free before, we highly recommend using Bob's Red Mill Gluten Free 1:1 Baking Flour Blend for this recipe. If you're using a different blend, double check the ingredients. If it doesn’t contain xanthan gum (or another binding ingredient like guar gum or psyllium husks), we recommend adding 1/2 teaspoon of xanthan gum to ensure success. 1 Prepare the pan: Spray a 9x13-inch baking pan with nonstick cooking spray and set aside. 3 Mix dry ingredients: In a small mixing bowl, whisk together the flour, salt, baking powder, and baking soda and set aside. 4 Mix milk and vinegar: In a separate small mixing bowl, stir together the milk and vinegar and set aside for 5 to 10 minutes. You’ll notice the milk may start to look a little curdled, which is what we’re going for. 5 Beat together the sugar, oil, and vanilla: In the bowl of a stand mixer fitted with the paddle attachment (or using electric hand beaters), beat the oil, sugar, and vanilla extract until combined, about 1 minute. The mixture will be granular and look like wet sand. Slowly add the flax egg mixture, beating well until combined. Scrape down the sides of the bowl as needed. 6 Beat in the dry ingredients: At low speed, slowly add the dry ingredients in four additions, alternating with the milk mixture, until the flour and milk are fully incorporated. The batter should be thin enough that it slips off the paddle or beaters; if it’s too thick or chunky, add additional nondairy milk 1 tablespoon at a time, until the batter is pourable. 7 Rest batter: Place the bowl, uncovered, in the refrigerator for 15 minutes to help sufficiently hydrate the starches and gums in the batter. 8 Preheat the oven to 350°F while the batter is resting. 9 Spread batter into pan: Transfer the batter to the pan and use a silicone spatula or wooden spoon to spread it evenly. 10 Bake for 35 to 40 minutes, or until a toothpick comes out clean and sides of the cake are pulling away from the pan just a bit. 11 Cool: Allow the cake to cool completely in the pan before frosting, at least 90 minutes. 12 Make the Vegan Chocolate Fudge Frosting: Prepare the frosting as directed in the recipe. 13 Frost the cake: Spread the frosting on top of the completely cooled cake. Decorate with sprinkles, if desired, and serve. The cake is best enjoyed the day it's made. 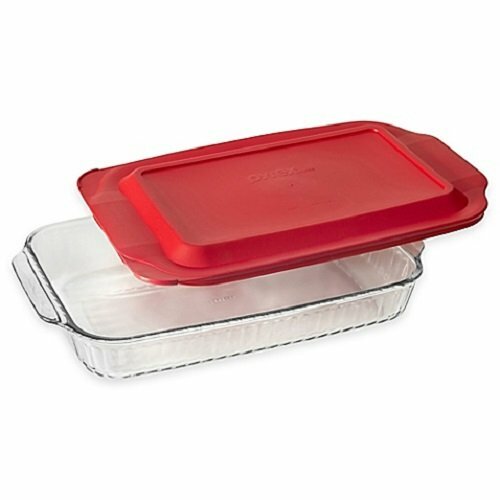 If you have leftovers, cover and store at room temperature for up to 2 days. Hello! All photos and content are copyright protected. Please do not use our photos without prior written permission. If you wish to republish this recipe, please rewrite the recipe in your own unique words and link back to Gluten-Free Vanilla Birthday Cake on Simply Recipes. Thank you! Can I use regular eggs instead of the flax egg substitute? If so, how many should I use in the recipe? Thanks!